“Definitions preserve ... the logical order of their hierarchical interdependence.” This touches on the Objectivist contention that knowledge is hierarchical. The concept animal is a step higher in the conceptual hierarchy than mammal, for example. Is it true, as Rand asserts, that definitions "preserve" the "logical order" of this hierarchy? 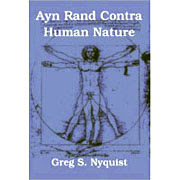 Rand derived her doctrine of definitions from Aristotle. It is not however clear what she means by "logical order," or how definitions go about preserving it. What Rand seems to have in mind (although she's none too clear about it) is the ideal of knowledge as a complete "logical" structure (logical in this sense meaning: integrated without contradiction). In this, Rand is mirroring Aristotle's ideal of knowledge as (in the words of Karl Popper) "an encyclopaedia containing the intuitive definitions of all essences, that is to say, their names together with their defining formulae." For better or worse, there exists no compelling evidence that knowledge works this way; nor does Rand (or her disciples) provide any evidence, or seem in the least interested in the empirical side of this issue. Yet there is a great deal of evidence that formal definitions are of little importance to understanding the meaning of words. Most words are learned unconsciously, without the aid of formal definitions or dictionaries. Moreover, it can easily be observed that many people understand the meaning of words without being able to provide formal definitions for them. Just ask anyone (besides a linguist or a grammarian) to define the word the and you'll see what I mean. Now it could be argued that Rand's theory of definitions is not confined to mere formal definitions, but applies to "tacit" or "implicit" definitions as well (whatever those might be), and that when she declares that definitions preserve the logical order of conceptual hierarchies, she is not distinguishing whether those definitions are consciously formalized or are merely implicit and tacit. Yet if this is so, Rand needs to explain (1) how she knows this to be true; and (2) provide compelling evidence for her view. “Words without definitions are not language but inarticulate sounds.” If by definitions, Rand means consciously formalized definitions (after Aristotle methods of essentialist definitions), this is a grossly implausible position, for the reasons provided above. If Rand means merely "tacit" or "implicit" definitions, in the absence of any evidence (none of which is provided by Rand), it is not clear that this is true (or if it is true, whether it has any significance). What would make a lot more sense would be Words without meanings are not language but inarticulate sounds. This suggests that Rand has confused the concept meanings with that of definitions. Definitions are explanations of what a word means; but this does not mean that a definition is identical with the meaning. The meaning of a term can be understood without defining it, because knowledge is largely tacit and intuitive, rather than formalized and logical, as Rand seems to assume. “The process of forming, integrating and using concepts is not an automatic, but a volitional process.” Given how important this assertion is to some of Rand's claims about history and morality, Rand's unwillingness to provide any evidence for it is most unfortunate. I suspect it never occured to her that she needed to provide evidence, because empirical responsibility was not part of her basic MO. In any case, had she tried to find evidence for it, she almost certaintly would have realized that the statement is not true. Many concepts, perhaps even most concepts, are formed unconsciusly, without anything remotely describable as volition having anything at all to do with the process. Indeed, this is an obvious fact that can be gleaned merely by observing young children learning to speak. How Rand could have ignored and/or evaded these obvious facts is difficult to comprehend. Although there is no general agreement, we believe that other species are also capable to develop abstractions. Some primates and cetaceans, without any doubt, have abstract conceptions, but these must be very tenuous and, certainly, they never develop, as humans do, to a point of giving rise to high creativity. And, even if it so happened, it would be an innocuous creativity, since they lack the physical attributes to allow them to build up something that could be considered significant and concrete. In spite of these handicaps, the exercise of conscious and abstract thoughts, among dolphins and superior simians, has been widely evidenced. “To live, man must hold three things as the supreme and ruling values of his life: Reason—Purpose—Self-esteem.” It is not surprising that neither Rand nor any of her followers ever tried to provide evidence for this statement. Taken literally, the statement is palpably false. For it suggests anyone who does in fact "live" must hold reason, purpose, and self-esteem as his ruling values. Do Objectivists really believe that? Probably not. Here we have an example of Objectivists refusing to face up to the empirical implications of one of Rand's assertions. “There has never been a philosophy, a theory or a doctrine that attacked (or 'limited') reason, which did not also preach submission to the power of some authority.” Given that Rand was not exactly very well read and had huge gaps in her knowledge, how could she know whether this assertion is true? As a matter of fact, it is not true. Even worse, Rand was probably should have known it not to be true, since she read two writers who attacked (or ridiculed the pretensions of) "reason" and authority: namely, Friedrich Nietzsche and H. L. Mencken. And if there be any doubts on the score of these two radical individualists, one need only add Vilfredo Pareto to the list, who remained, even in his late anti-ideological phase, a radical libertarian at heart who explicitly attacked "reason" in his sociological treatise, The Mind and Society. None of the traditional theories of concepts regards concepts as objective. Rand never made any serious attempt to demonstrate this assertion. In fact, it's not even clear that she understood any of the "traditional" theories of concepts, or that she deeply read and studied any of the philosophers espousing them. Her interpretations of Hume and Kant are so distorted and eccentric (see Seddon and Walsh for more info) that, in the absence of clear, exhaustive, documented evidence, she is not to be trusted on such issues. “Reason is man’s only means of grasping reality and of acquiring knowledge.” The first difficulty we must confront is trying to entangle what is meant by "reason." As far as I can make out, "reason," for Rand, means creating a logically consistent body of knowledge based on the evidence of the senses. Rand is fond of describing "reason" in terms of "integration," which seems to assume is a kind of "whole" made up of indivdual parts that have been logically conjoined together. Rand claims that "The method which reason employs in this process is logic—and logic is the art of non-contradictory identification." This description entails the additional difficulties involved in trying to figure out what on earth Rand could possibly mean by suggesting that logic is the "art of non-contradictory identification." Logic involves the study of arguments. But here Rand is suggesting that logic has a much larger range, that it involves "identification." When examined more closely, Rand appears to have confused "classification" with "identification." Rand seems to have believed that A is A, which is a short-hand expression for logical identity, is equivalent to deciding which category a specific entity is to be placed. The integration Rand has in mind is (at least partly) conceptual. In any case, Rand's view of concepts is heavily saturated with her theory of concept-formation, which she places at or near the center of her epistemology. So having unravelled these tangles as best we can, we may safely assume that (1) reason involves creating a logically consistent body of knowledge, and (2) reason involves concept-formation. Rand's reason, for ought we know, may involve much more than what's listed here. I am merely trying to isolate two elements that can be subjected to empirical testing. Reason, Rand claims, is man's only means of both grasping reality and acquiring knowledge. What evidence did she present for this view? Unfortunately, none at all. Worse, it would not be a very plausible assertion even on a priori grounds. Let us say (as Rand seems to say) that reason involves creating a logically consistent body of knowledge. Is having such logical consistenty necessary for grasping reality? In its absence, is knowledge impossible? No, of course not. Just imagine a man whose knowledge is divided in two parts, A and B, which contradict each other. Is this man incapable of having knowledge or grasping reality? No, not at all. All that the contradiction between A and B entails is that only one of the two parts of his knowledge can be in accord with reality. But if one part does accord with reality, that part grasps reality and can be considered as knowledge of the real world. Rand and her disciples, if they wish to be taken seriously on this point, really need explain in more detail what they mean by "reason" and provide evidence for why Randian "reason" is the "only" method that can grasp reality. If we identify "reason" with concept-formation, we are in no better shape than before. Rand presented hardly any evidence for her theory of concept-formation; yet there exists a large body of evidence that can be placed against it, some of which I introduced in my "The Cognitive Revolution and Objectivism" series, others of which will be introduced in a future series on Rand's epistemology. Let me just note that, in the light of evidence brought to light by exponents of Wittgenstien's Family Resemblance theory of concepts and discoveries about the large role played in concept-formation by the cognitive unconscious, Rand's theory appears rather implausible. If "reason" involves forming concepts in accordance to Rand's theory, then we can safely assume that "reason" is entirely mythical faculty that has nothing to do with real cognition. “The alternative to reason is some form of mysticism or skepticism.” (Peikoff, OP) Since when? The only way to make this true is to define mysticism and skepticism analytically -- i.e., as the only alternatives to "reason." But if defined this way, these words become trivial and lose their sting. Suddenly, Morton Hunt's "natural reasoning" becomes merely another form of mysticism and/or skepticism. But since this natural reasoning is precisely the method which has allowed the species to reproduce and survive for hundreds of thousands of years, then to describe it as mysticism or skepticism is to give those words a far more benign meaning than Rand originally intended. If, however, we assume that Peikoff is not using the words analytically, but using mysticism and skepticism in the usual disparaging, Objectivist sense of the terms, then his statement is most probably false (which would explain why he provides no evidence for it). There is all kinds of evidence from cognitive science (popularized, for example, by Malcolm Gladwell in Blink ) that demonstrate the empirical paucity of Peikoff's assertion.